Alexander Mazarakis Ainian was born in Athens in 1959. He studied History of Art and Archaology at the Université Libre de Bruxelles", Belgium (1980-1983) [degree with “Grande Distinction”] and continued his postgraduate studies in London (UCL), with a grant of the “Alexander Onassis Benefit Foundation” and obtained his Ph.D. degree at University College London in 1987, under the supervision of Professor J.N. Coldstream. From 1991 to 1996 he worked on a part time basis at the Greek Archaeological Service where he studied material from the rescue excavations at Skala Oropou kept in the Piraeus Museum and conducted rescue excavations in northern Attika (Oropos [a Roman complex], Marathon [a Geometric-Classical necropolis], Nea Makri [a Late Neolithic edifice]). In earlier years he taught Archaeology at Southeastern College (1989-1991) and Beaver College (1991-1993, 1996-1999) (today Arcadia College), in Athens. Between 1992 and 1999 he taught under contract, for 8 consecutive academic years, “Social Archaeology” at the Department of History of the Ionian University (Corfu). In 1999 he was elected Associate Professor of Classical Archaeology at the History, Archaeology and Social Anthropology Department of the University of Thessaly (Volos), and in 2005 he was elected Professor of Classical Archaeology in the same Department. For two consecutive terms, from September 2002 until August 2006 he was elected Head of the Department, and more recently he was elected for two consecutive terms as Director of the Postgraduate Programme of the Department (2008 until 2011). He also taught occasionally in the Postgraduate Programs of the University of Athens and the Polytechnic University of Athens. He has taught and lectured as an invited professor in various universities of the USA (Boston University, Ann Arbor, Cornell, New York [Columbia, NYU-Institute of Fine Arts], through the “G. Papamarkou Fellowship” of the “Goulandris Museum of Cycladic Art” [Nov. 2003]) and University of Tennessee, University of North Carolina at Chapel Hill, Bryn Mawr, Princeton, through the University Seminars Program (as Senior Visiting Scholar) of the “A. Onassis Benefit Foundation” (15 Oct.- 12 Nov. 2006). During the academic year 2007/08 he taught for two months at the university of "Paris I - Pantheon/Sorbonne" as an invited professor and during the academic year 2009/10 he was invited researcher for one month at the “Ecole Pratique des Hautes Etudes en Sciences Sociales”, in Paris. Durng the academic year 2012-13 he taught several seminars at Paris I-Pantheon/Sorbonne and the EPHE in Paris, with a Chaire Internationale Blaise Pascal 2012. From the academic years 2013-14 to 2015-16 he also taught Greek Art and Archaeology at Paris IV - Sorbonne, as an invited professor (2013-14 full academic year, 2014-15, 2015-16 the spring semesters). During the spring semester of 2016 he offered postgraduate seminars at UCL-Louvain-la-Neuve (Belgium) as an invited Fellow. In 2017 he was invited professor at the Ecole des Hautes Etudes en Sciences Sociales (Paris) for one month. He founded and directs since 2000 both the Archaeological Laboratory at the University of Thessaly, and the Departmental Archaeological Museum. Since 2009 he was a member of the board of the Scientific Committee of the University of Thessaly Publications and in 2018 he was elected as Director (University of Thessaly Press). He is or was the Scientific Director of several major European Union Research Programs, including the programmes EPEAEK I and II of the IAKA Department (2002-2005) and Practical Training of students of the IAKA Department I, as well as personal research European Programs, including “Pythagoras I” (Study and publication of the Oropos excavation), “Herakleitos I” (PhD scholarship of M. Arjona-Perez) and several other scientific projects (see Research Committee of the University of Thessaly). He also directs several surveys and excavations of the university (see Field Projects). For the Academic year 2012-13 he was awarded a teaching and research grant of France, the prestigious "Chaire Internationale Blaise Pascal". His project concerns the sanctuaries of the Archaic period in the Cyclades. He was awarded a big European (ΕΣΠΑ) research grant "ARISTEIA" entitled "The Social Archaeology of Early Iron Age and Early Archaic Greece", of a duration of 3 years, implicating ca. 30 young and senior researchers (duration from Sept. 2012-Oct. 2015). At the University of Thessaly he has supervised more than 20 MA theses and 5 Ph.D. dissertations (3 as main supervisor, and in co-direction with European universities [Zaragoza, Montpellier], and is currently supervising 6, 2 of which are in co-direction with European universities (Paris I, Bordeaux). He has also co-supervised 2 Ph.D. dissertations at the University of Thessaly and 4 Ph.D. dissertations at the University of Athens (one dealing with the material from the sanctuary of Demeter on Kythnos and two with the Archaic and Geometric pottery from his excavation at Oropos –the latter was awarded the prize of the Academy of Athens in 2010), while he is currently co-supervisor in several Ph.D dissertations in various Greek Universities and the university of Bordeaux. He has been invited as external examiner of 5 Ph.D.’s at Greek and 12 at European universities (Universities of Edinburgh, Lausanne, Liège, Gent, Paris , Strasbourg, Bordeaux). He has evaluated for promotion professors of foreign universities, including G. Papasavvas (University of Cyprus), H. Brun (Paris IV), Y. Pakkanen (Royal Holloway, University of London) and A. van de Moortel (University of Tenessee). He has been asked to evaluate research projects of Greek and foreign institutions for funding, such as for the IKY, ELIDEK or the Vienna Academy of Sciences. He has signed ERASMUS conventions with the universities of Bournemouth and Southampton (UK), Toulouse-Le Mirail, Lyon 2 and Paris 1-Pantheon/Sorbonne, Paris X-Nanterre (France) and Bordeaux. Due to his international profile, the Laboratory of Archaeology of the University of Thessaly received two important donations: the Archives and Library of the late Director of the American School of Classical Studies at Athens W.D.E. Coulson and the library of his professor at UCL, the late J.N. Coldstream. His main field of specialisation is the archaeology and architecture of Early Iron Age and Archaic Greece and Homeric Archaeology, as well as ancient Greek religion and sanctuaries of the Geometric through the Classical periods. In recent years he also specialises in underwater archaeology. He has offered 75 papers at International Symposia in several European countries and 85 lectures, in Europe (Greece, Belgium, France, Germany, Great Britain, Holland, Italy, Spain, Sweden, Switzerland) and the USA (Boston University, Wellesley College [Boston], Ann Arbor, Cornell, New York [Columbia, NYU-Institute of Fine Arts, Metropolitan Museum], Princeton, Los Angeles [UCLA, Getty], Stanford, University of Tennessee, University of North Carolina at Chapel Hill, Bryn Mawr, Concordia University [Irvine], Seattle University, Portland State University, Atlanta [Emory University], New Orleans [Loyola University], College of Charleston, Brock University, Washington [University of Maryland], Charlottesville [University of Virginia], University of Louisville) and Canada (Montreal), via the G. Papamarkou Fellowship of the Goulandris Museum of Cycladic Art, the Public Benefit Foundation Α. Onassis, and the Archaeological Institute of America - Kress Lecturship AIA Programme). He has published ca. 30 excavation reports, and more than 70 articles and studies mostly in Greek, English and French, but also in Italian and German, and two books entitled From Rulers' Dwellings to Temples: Architecture, Religion and Society in Early Iron Age Greece (1100-700 B.C.) (Jonsered 1997) and Homer and Archaeology (Athens 2000) (the latter in Greek). Two additional books is in press (Oropos I. The Protogeometric and Subprotogeometric Periods [in collaboration with I.S. Lemos], Athens, and The sanctuaries of ancient Kythnos, Rennes). Together with M. Mouliou he published the catalogue of the exhibition Archaeological Quests: Excavations at Homeric Graia (Volos 2008). He was also the co-editor with L. Mendoni of the Acts of the 1994 Kea-Kythnos Symposium (Kea-Kythnos: History and Archaeology, Athens 1998), and of the acts of the other seven International Symposia that he organized (The "1st, 2nd, 3rd and 4th Archaeological Work of Thessaly and Central Greece held in Volos in 2003 [publ. 2006], 2006 , 2009  and 2012  , respectively), as well as Oropos and Euboea in the Early Iron Age, held in Volos in 2004 [publ. 2007]), the Acts of the International Symposium in the memory of W. Coulson (“The Dark Ages Revisited", June 2007 [publ. 2011]) and the International Conference Regional Stories Towards a New Perception of the Early Greek World, Acts of an International Symposium in honour of Professor Jan Bouzek, Volos 18-21 June 2015, Volos 2016 (together with A. Alexandridou & X. Charalambidou). He also edited the joint volume Les sanctuaires archaïques des Cyclades, Rennes, 2017. He was also co-organizer and President of the Organizing Committee of the International Conference on the Numismatics of Thessaly (2001) and co-organizer of the Congress on the History and Archaeology of the Black Sea area (2004), both held at the University of Thessaly in Volos, while he has also organized or co-organized a series of smaller scientific Colloquia (for all the above click here). Several of his publications have become recognised internationally and have become reference studies in their field. Many of his publications are cited internationally. He is responsible for the creation and maintenance of several websites, such as those of the Laboratory of Archaeology and the W.D.E. Coulson Archives (both in Greek and English), and his excavation projects at Skala Oropou, Kythnos, Soros and Kephala on Skiathos. In 2004 he set up a major archaeological exhibition at the University of Thessaly entitled: "Archaeological Quests: Excavations at Homeric Graia" (18 June - 26 Sept. 2004), with 141 finds from ancient Oropos. He has also organised five exhibitions of drawings and photographs dealing with the archaeology of Kythnos (at Kythnos, the Ionian University, the Universities of Thessaly and Athens). He also participates in international research projects, including «CIRCE: Constructions, Interprétations et Représentations Cultuelles de l’Espace dans les sociétés anciennes», directed by Prof. Fr. De Polignac (EPHE-Paris) and « ΕΜΑ: L’enfant et la mort dans l’Antiquité : des pratiques funéraires à l’identité sociale » directed by Prof. A. Hermary (Univ. Aix-Marseille). Currently he is coordinating the study for publication of old the excavations of the Greek Archaeological Society at the Academy of Plato, Athens (project under the auspices of the Athens Archaeological Society). He is a member of the Greek Archaeological Society, the Historical and Ethnological Society, the German Archaeological Institute and ICOM-Greece. In May 13, 2016, he was elected Membre correspondant of the Académie des Inscriptions et Belles-Lettres. 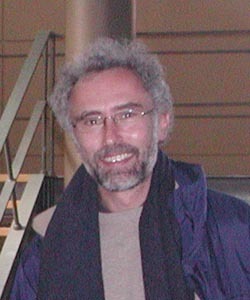 He is also member of the advisory board of Greek and foreign scientific periodicals, including the Journal of the American School of Classical Studies at Athens, Hesperia, that of the Netherlands Archaeological Institute, Pharos and « BiAMA » (Bibliothèque d’Archéologie Méditerranéenne et Africaine) du Centre Camille Julien (Aix-Marseille). He has been appointed member of the Scientific Committee of several International Congresses In 2009 he was appointed external evaluator of the UMR 8167 (+ EA 125) “Orient et Méditerranée” [Paris I, Paris IV, EPHE] by the AERES. He has also collaborated in various projects as advisor, including for the project of the new Museum of the Acropolis with the Architectural Group of Antonakakis which gained the 6th position in the international competition. For the past 10 years he is a member of the Local Council of Monuments of Thessaly of the Ministry of Council. He has also been awarded several medals by various local cultural organisations of Kythnos, in acknowledgment of his contribution to the island and the local community. He speaks fluently English and French, and has adequate knowledge of German and Italian.